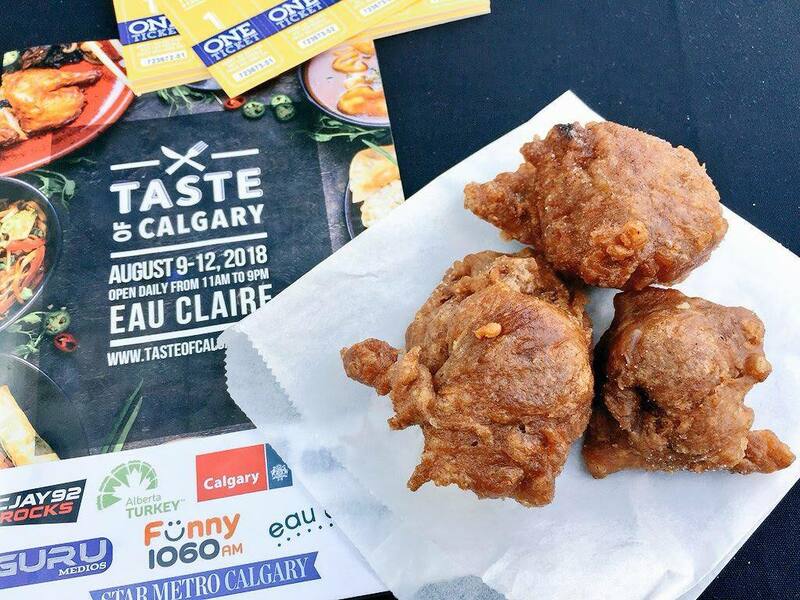 what to eat at taste of calgary. you’re in luck this weekend! 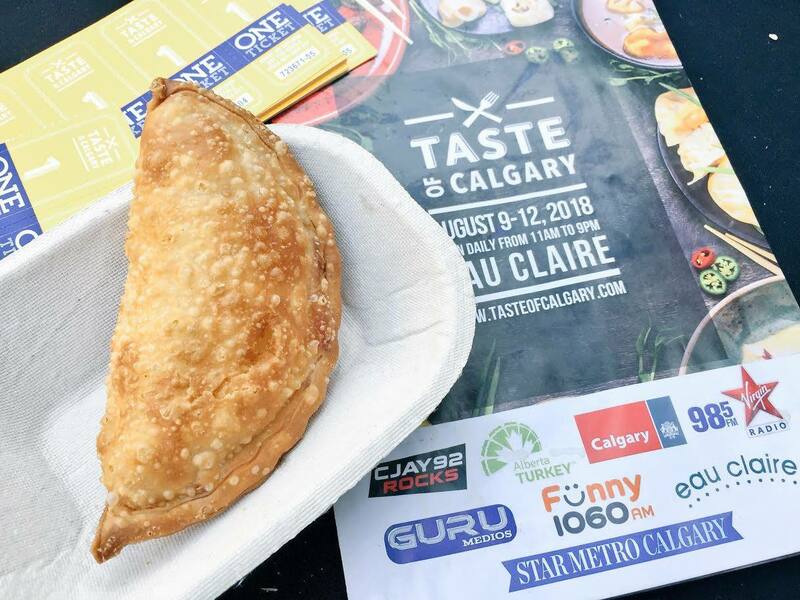 Taste of Calgary, the city’s most appetizing outdoor festival of food and drinks, is back this weekend for its 21st year at eau claire’s festival plaza. 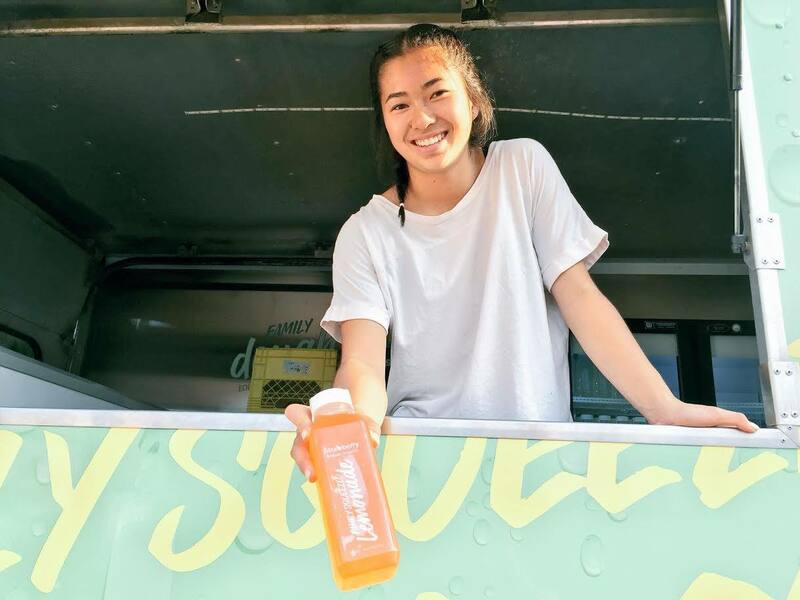 open daily from 11 a.m. – 9 p.m. until sunday, august 12, 2018, the festival features over forty of the this city’s most unique restaurants and beverage companies. each booth offers bite-sized menu items so you can try a wide variety of nibbles before getting too full. sampling tickets are $1 each, and you can buy them at numerous booths throughout the festival grounds. you’ll find classic canadiana alongside international cuisines that’ll treat your taste buds to african, east indian, italian, and asian flavours – to name a few. 3 tickets: yes, i started with dessert! i first tasted bannock while learning to make it in brownies as part of my cooking patch. the simple dough has such a rich heritage, and it was nice to see a modernized adaptation available. there are many flavours and styles available at kokom’s booth, such as cheese, blueberry and hot dog! i went for cinnamon sugar – a classic – and if you wanted to make it more indulgent you can take a tip from ryan (mr. fabulous) and smother it with the margarine and extra cinnamon sugar provided! 5 tickets: really great barbecue brings back memories of my favourite island in the south of georgia, and christmas spent on the beach in the sunshine. i have been on a search for a great barbecue sandwich ever since! 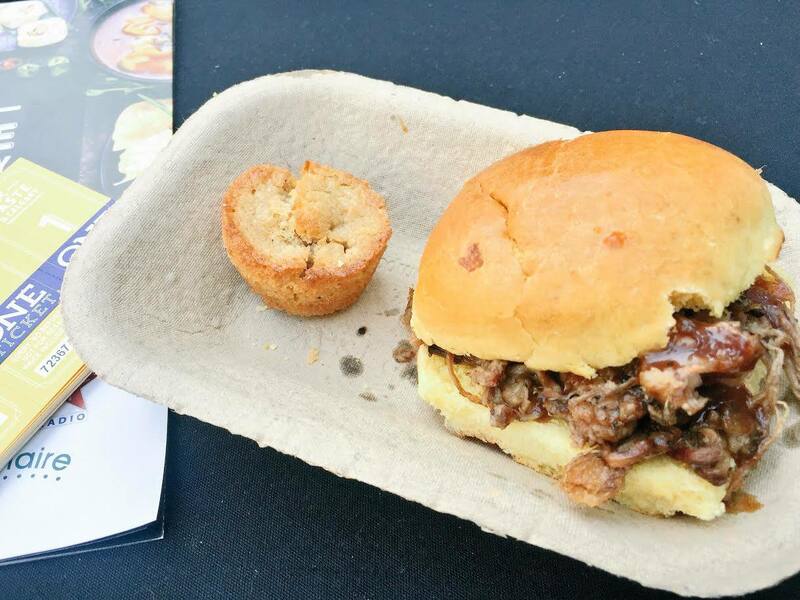 this brisket slider from holy smoke is right up there! usually, you see pulled pork – you’ll find that at Taste, too – but the pulled brisket is really a delicious treat. topped only with a bit of homemade barbecue sauce, they aren’t hiding behind any fancy toppings. this sandwich is simply delicious! the mini cornbread was good, but i didn’t think it was needed. the sandwich is the star of the show and (i can’t believe i’m going to say this) more carbs weren’t needed. 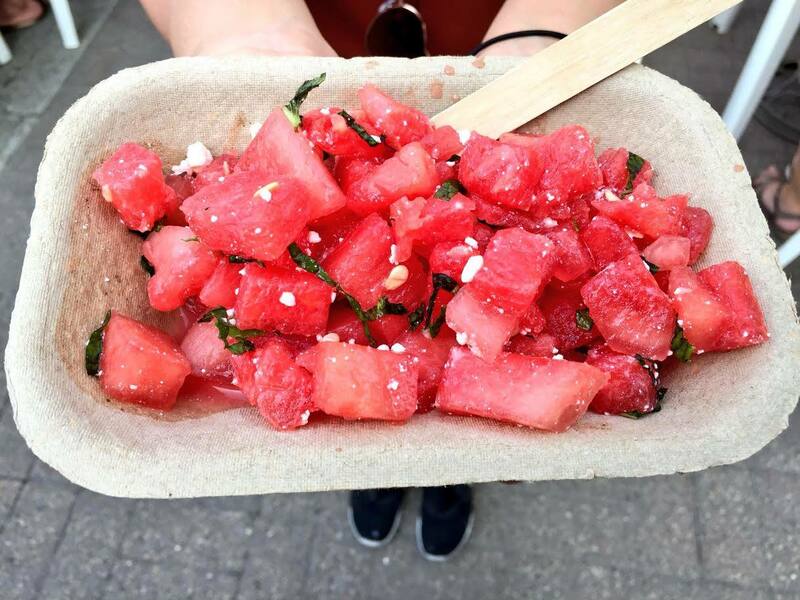 3 tickets: while you’re at holy smoke bbq getting your brisket slider, also order the watermelon mint feta salad. it is almost 40 degrees out, and you’re going to need something refreshing. this gluten-free and vegetarian dish hits the spot. it’s cooling and delicious, with a fresh, crisp bite from the mint. a salad that’s so much more than just a salad. 3 tickets: to me, corn screams summer! boiled and topped with a little bit of butter and some salt, and i am a happy girl. sweet corn on the cob is one of my favourite things to eat. flower & wolf – the new restaurant in the sheraton suites calgary eau claire – takes this summer classic and heightens it with chilli lime butter, huitlacoche aioli, and cilantro. 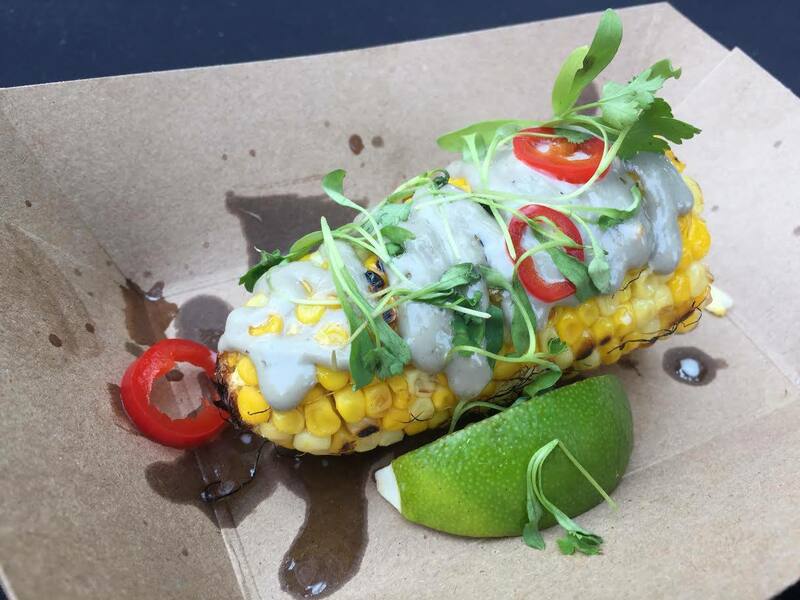 that lime isn’t just for garnish, make sure to squeeze it all over the corn! 4 tickets: what is better than cheese wrapped in delicious pastry and deep fried? nothing! while empanada queen offers many flavours, i stuck with the traditional. hot and gooey cheese melting out is so satisfying and ask for the side of salsa for an extra treat for your taste buds. 5 tickets: did i mention how hot it is outside? this is calgary, it’s not supposed to be so toasty! while i’m drinking plenty of water, this incredible concoction of strawberries, lemons and fresh thyme helped cool me off, too. thanks to their packaging – no cup and straw – i was able to take this with me on the go as i headed to undrcard for a boxing class, and it didn’t spill all over my backpack. 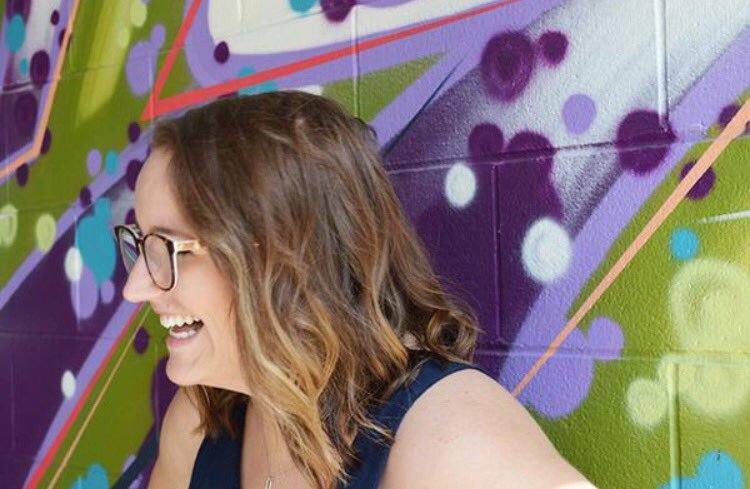 if you’re not feeling hungry, or are on a tight budget, admission to the festival is free and includes a taste of calgary’s best musical acts. i’m headed back today. see you there! wedding bliss – and blisters. Next Post where to stay in canmore.